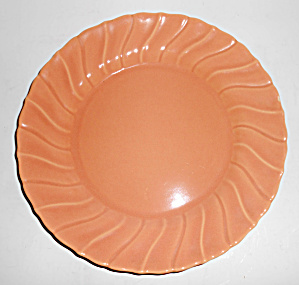 This is an offering for a lovely Franciscan Pottery gloss coral Coronado 9-3/8" wide plate. Franciscan ink mark. Not the smallest hint of use and has no nicks, chips, cracks or repairs.